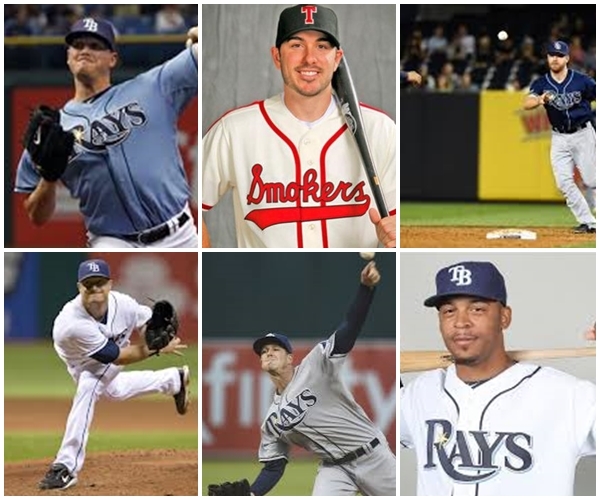 With just 20 days left in the 2014 season for the Tampa Bay Rays, you can expect an abundance of decision, changes and shifts in their usual format in regard to pitching, fielding assignments and possibly the last shuffle of players after the Durham Bulls complete their drive to try and retain the Governor’s Cup. 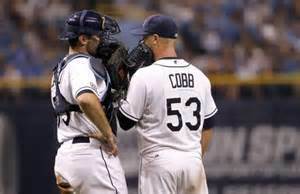 We have saw one decision rear its ugly head on Tuesday as the Rays decided they would shut down starter Drew Smyly. 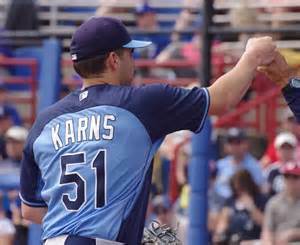 The Rays only leftie currently in their rotation will be replaced by right-hander Nathan Karns who was to pitch on Thursday in Game 4 of the Governor’s Cup series, but will now toe the rubber for the Rays in Yankee Stadium for their last contest against the Yankee in 2014. Even though the Rays have not been formally declared out of the post season, the shutting down of Smyly who has been a bright spot in the latter stages of the season signals the Rays looking ahead to 2015. 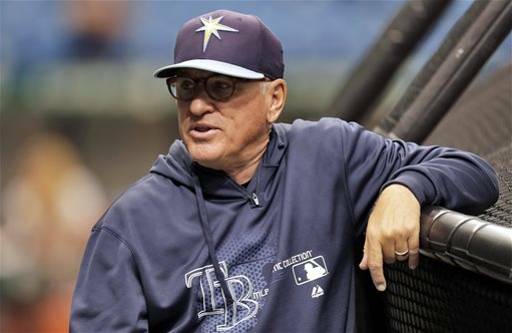 Now that doesn’t mean the Rays will re-invent themselves over the next 3 weeks, but the usual line-ups and match ups might go a little left and right and the Rays experiment and try out some new combos or fielding assignment to test their current corps of rostered players. The first of these movements towards the future might be in feeling out the limitations or flexibility of Brandon Guyer. 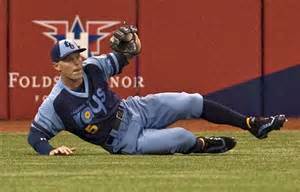 We all know Guyer has the heart and soul to play with this team, but if he shows a little more flexibility and resourceful use, possibly in Center Field, the Rays might extend their hands and provide Guyer with ample opportunity before the last contest in Cleveland. Over the next few weeks I suspect we might see a few tinkers with the lineup seeing if other players can adapt, convert and possibly excel at other spots in the 1-9 slot of the Rays lineup card. We could see a few new names attached to Third Base giving Evan Longoria a few more reps at DH. Quite possibly we could also see if the Rays value certain player who have been established as 2015 options, or possible trade fodder this winter. 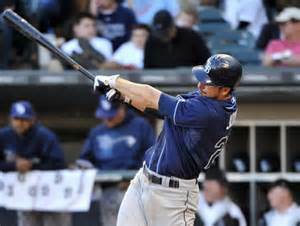 One name I think you might want to watch close is the ways the Rays use Matt Joyce over the final games. 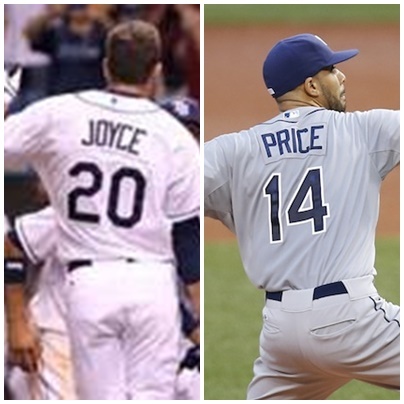 Joyce is still under team control in 2015, but I truly thought 2014 was his year to shine or submerge and quite possibly the Rays might be on that same wave length. 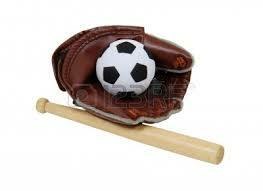 It is kind of a pity Joyce seemed to have drawn the long straw when Wil Myers went down. 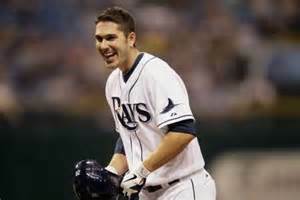 I thought the team would try and expand on Joyce’s worthiness through more at bats against lefties, but instead the team went to the minor league system and have made Kevin Kiermaier a new Tampa Bay household name. The emergence of Kiermaier might makes Joyce expendable this winter, and an affordable name for another team to scoop up at a bargain. And with the Rays possibly experimenting with different outfield setups, names like Ben Zobrist, David DeJesus and Desmond Jennings might find a few teams calling about their availability this winter too. Another decision much like Smyly is on the horizon for the Rays as starters Jake Odorizzi has thrown for 154.2 innings and Chris Archer has 173.2 innings. 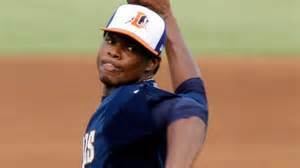 Taking two fixtures out of the rotation might not happen, but seeing as current Durham starters Alex Colome has only 86 innings on the book before his next Governor’s Cup start, he could be a viable option for the Rays after Durham finishes their playoff run. But not in Colome’s favor might be the pure fact that would give the Rays 5 starters who all throw from the right side of the rubber. The Rays could go with the option of bringing up 2 different lefties after the Durham playoff run, or promote another right-hander, Merrill Kelly as he only has 114 innings on his arm this season. 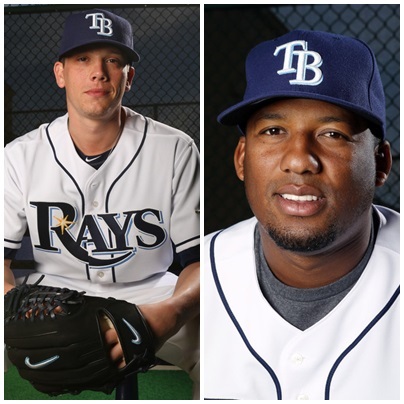 If the Rays did want to go the duo lefty option, Mike Montgomery and Enny Romero both have about 126 innings on their stats this year and could possibly be an option for 1-2 starts each to finish off 2014 plus give the team a real time evaluation on if they might be MLB ready in 2015. 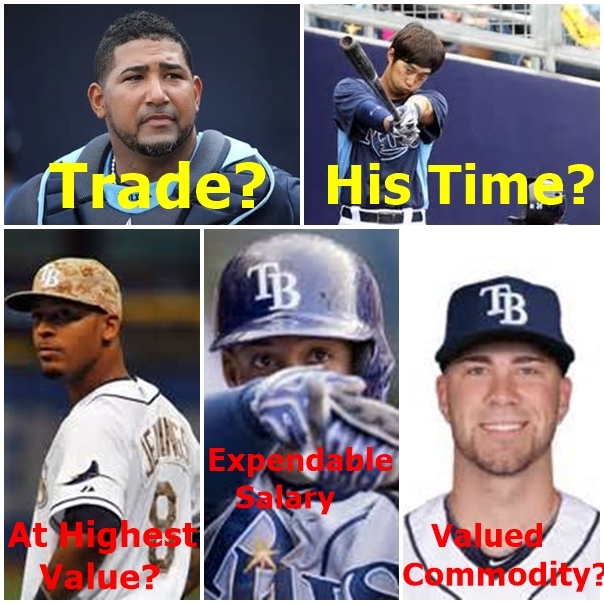 Infield wise I could see the Rays possibly bring up Hak-Ju Lee or maybe even Tim Beckham and throw them in Longoria’s spot at Third and test them on being viable future options or possible add-ons to a winter trade. Who knows, maybe Rays can bring up a Ray…Olmedo to see if he could be a piece of the depth puzzle again next season either in Triple-A or with the Rays. Everything is just speculation until certain things fall or are decided by the Rays. With the season winding down and the team all but .01% eliminated from any contention the Rays now only fear the calendar. As soon as the Bulls complete their post season series I truly suspect a few of these name to appear quickly on the transaction wire. 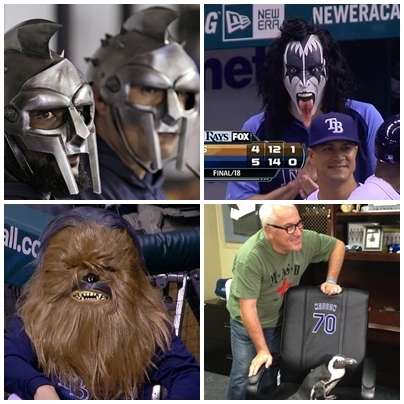 Now if only the Bulls would hurry up and win the Governor’s Cup so we can really see what the Rays are thinking……for 2015. It’s not only odd but a bit perplexing that the numbers have added up in this order this year. 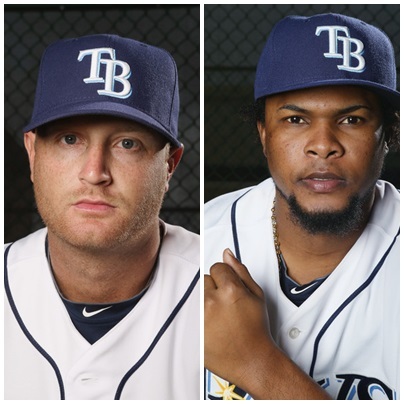 # 20 and # 14 will be numbers to watch in 2014 and each could have a huge impact on just how far the Tampa Bay Rays go this season. 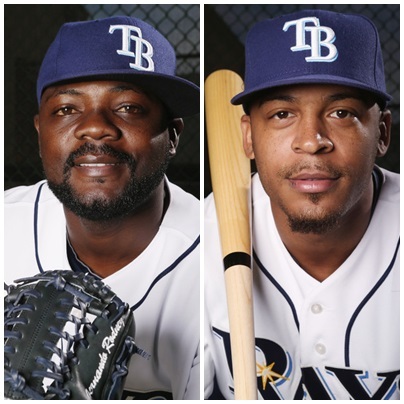 Seems like I’m waxing a bit too poetic that these two players could be such key pieces to the Rays puzzle in 2014, but sometime reality can be both bizarre and prophetic. At no other point in the Rays history have 2 numbers aligned in such a way that they could be considered linchpins on how the season could or should progress or ultimately regress. 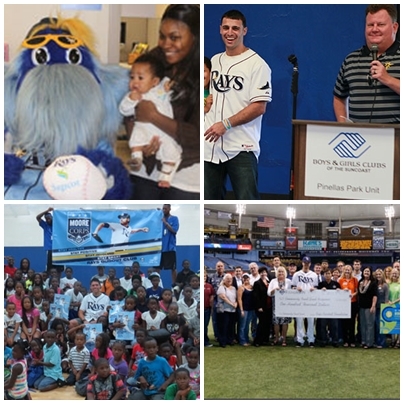 Rays outfielder Matt Joyce and David Price both separately and conjoined have the talents and abilities to make magic happen upon Tropicana Field’s AstroTurf, but each also come into this spring with question marks attached to their names. 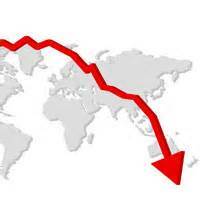 Now this is not to suggest either will go down with an injury, be traded or be the anointed saviors that could decide the 2014 season. This is to suggest that possibly the addition, subtraction meshing of these two players could decide more than just victories and defeats, but the Ray’s final pitching staff formation or outfield rotation decisions. Questions will need to be addressed quicker rather than later. I still feel that Price is not on solid ground on if he is living in Port Charlotte, Florida in mid-February or will be calling another vista his home this spring. 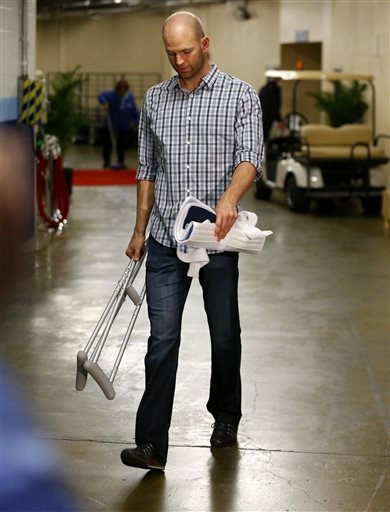 With Masahiro Tanaka (Yankees) and Matt Garza (Brewers) off the pitching “wish lists” around MLB, more than a few courtiers could come a-callin’ around the Rays hoping to make one last huge push for Price’s services in 2014. 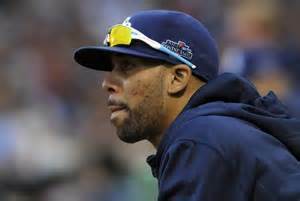 That being said, could the Rays be secretly able to keep Price no matter the $14 salary weighing on their 2014 payroll, or just being coy knowing someone will offer up just the right bite and the team take it knowing they have pitching talents already in-house who could step up the ladder and perform at a higher level this season. 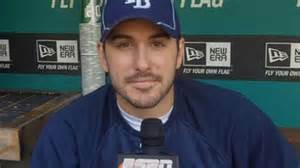 If Price were to be with the Rays come March 31st, will another clock begin a countdown to the Trade deadline, or will the team effectively ever put a “No Trade” sign on Price for the entire season no matter if they are a post season race or treading water come the end of July. 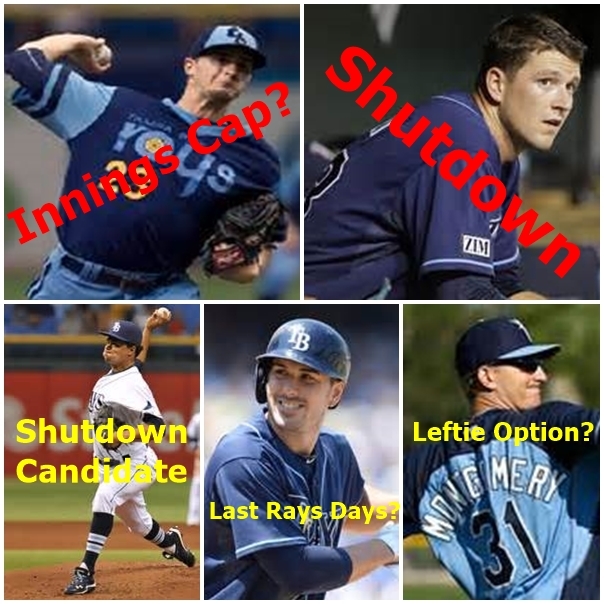 A “price-less” Rays rotation could consist of a 1-4 slots with Matt Moore, Jeremy Hellickson, Alex Cobb, Chris Archer and possibly Alex Colome or Jack Odorizzi manning the 5-hole. You also have to wonder if this whole situation of Price not being on solid ground with the team showing adamant solidarity for Price staying with the team even at this point is not eating at him mentally and emotionally that he is possibly just a phone call away from leaving this team and wearing different colors from today until possibly August 1st. Confidence plays a huge part of the prep game for a pitcher coming into the spring as they gain that fortitude, that intensity and want to succeed as Spring Training and game evolve. 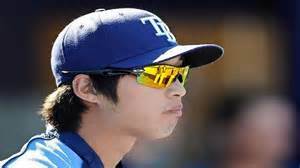 Could not having a solid foundation under Price possibly wreck a bit of havoc during his Rays starts in 2014, or could he essentially be counting the days until his trade in the recesses of his mind. Price’s mindset and words from today on will echo loudly as to his progress or regression this season. 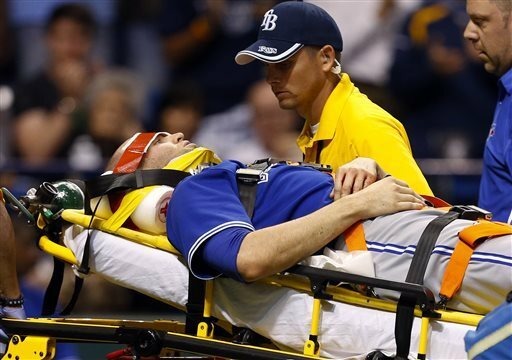 From a pitching standpoint, Price holds a lot of instability coming into this season. Not on his talents or abilities, but if he will possess the aggressive nature and instinct we are accustom to, or have something pull his usual game mode from him. 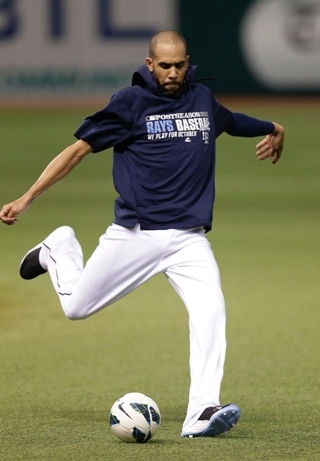 As much as Price holds some key questions for the team’s pitching prognosis, Joyce could be at a definite crossroads as to his role both in 2014 and in the future with the Rays this season. 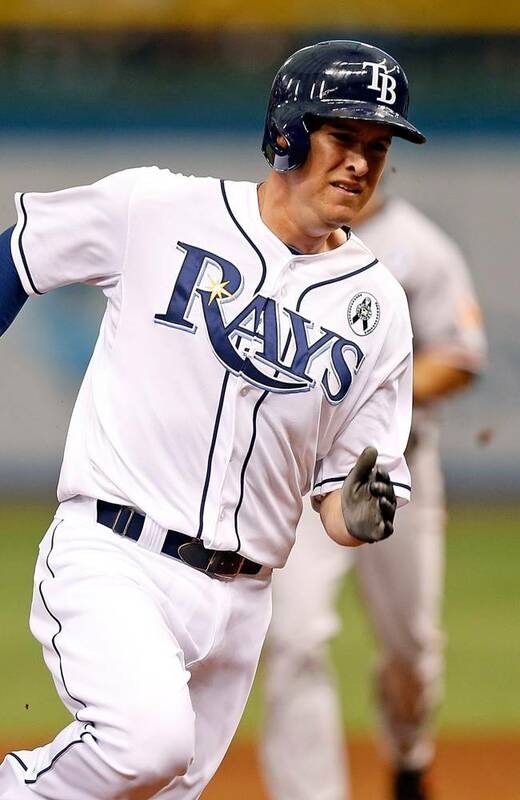 How the Rays decide to use Joyce this season will definitely define his future with the team, but also could signal if his own journey might end with the Rays. 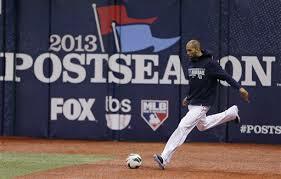 Joyce definitely knows his role on the Rays in 2014 will be different than any other time in his tenure here. With Desmond Jennings retuning and the resigning of David DeJesus combined with the third addition of AL ROY Wil Meyers beginning his 2nd tour with the team, suddenly Joyce might find himself as a 4th outfielder on a team with so many variety of player options. 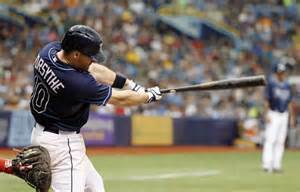 If you also factor in the option of Ben Zobrist, Jayson Nix or even newly acquired utility man Logan Forsythe into the mix, Joyce could find himself after Spring Training possibly even lower in the mix and teetering on possibly not making the final 25-man roster. But that is thinking too far ahead right now. Honestly Joyce could see more time at the DH spot and be a relief or late inning outfielder than as a consistent figure in the outfield this year. Joyce has been given the time to address his southpaw woes at the plate and has shown some confidence, but as of his 2013 performances against lefties has subsequently been sheltered from left-handers at all costs. 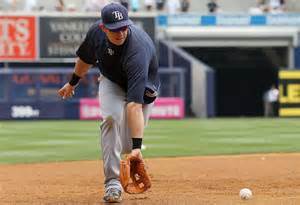 We do not know yet if Joyce had addressed this in the off season, but hopefully the Rays will put Joyce in enough leftie-on-leftie situation to either give the team more confidence his hitting abilities against non-righties or pigeon-hole him to spot duty or trade him off knowing they have some depth in the utility roles to suffice his elimination. 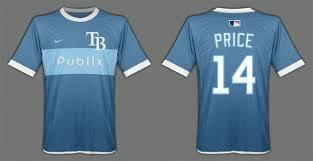 2014 was going to be so key for the Rays even before the questions arose concerning #20 and #14. 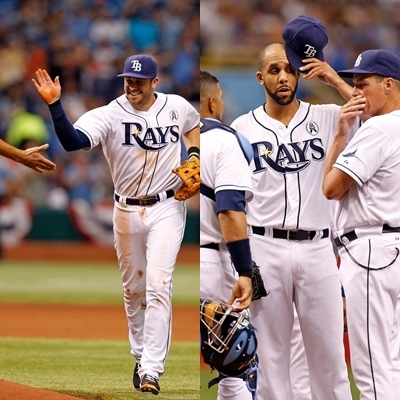 Hopefully they can be banded together this season as offensive and defensive strong points for the team to help the Rays go to an awesome 5th post season spot in 7 seasons. 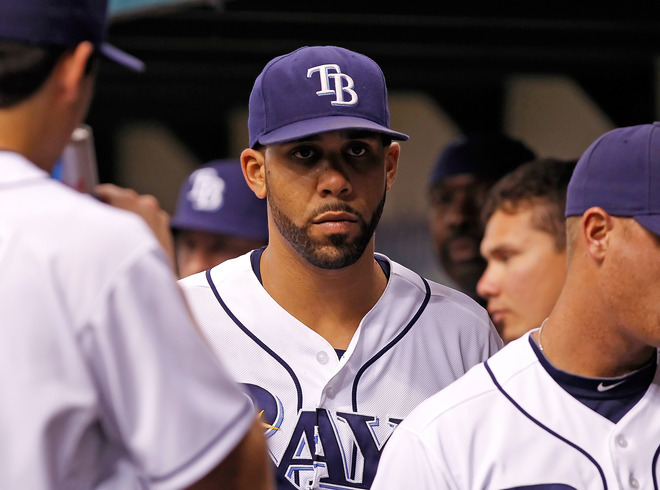 Only time will tell just how important those two numbers will be to the Rays success. This is the day a lot of us wait for wondering who will smile, who will not, and who just might have the most character in front of the photo lens. 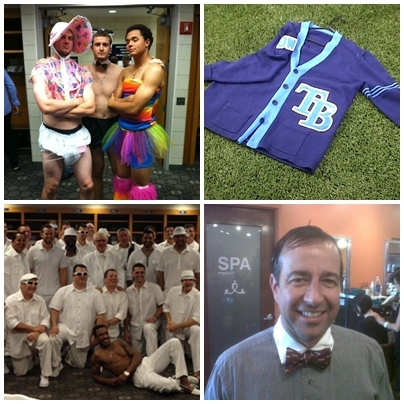 When the Tampa Bay Rays take their Team Photos, you never know what will transpire and make itself to the Web. So I hit up a familiar website that usually posts these photos in nano-seconds and took 21 of the photos uploaded and presented them here for you to get a first glance/peek at before the final set is divulge. As always most of the main characters within the Rays roster got their time in front of the lens, but a few of the Rays team photos did not make it into this first batch and probably will make their way onto the blogosphere some time soon, but I’m hoping they might show a bit more character and possibly a splash of that classic Rays humor we all know and love. 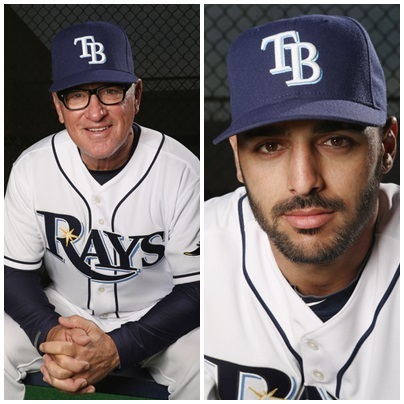 Out of this first batch of photos there are the usual pairings like Ben Zobrist, David Price and Rays Manager Joe Maddon that look more like a Glamor Shots shooting than a Team Photo. But the camera again this season seems to love some people while also doing a 180 shift on others to kind of dull their enthusiasm and excitement and make fun of others.Some times the worst thing to do in front of a camera lens is try and look too professional be too serious as the camera doesn’t have a brain and can then tend to make them look more demented or possibly deranged even before the first Grapefruit League contest. This season the “Grumpy” awards might go to Rays SP Alex Cobb who looks serious, but also has that serial bean ball artist look much like Kyle Farnsworth’s every year photo.Interesting enough, minor league prospect SP Alex Colome might actually get the old moniker I stuck on his Uncle, ex-Rays RP Jesus “Smiley” since his photo looks more like a mug shot than a happy occasion. But that is what sets Team Photos apart. Not all of them will be masterpieces or utter clusters, but it is the time of the season when you can definitely tell who is relaxed, who might need a long hug, or who should be tackled by Raymond and tickled to the point of a huge smile and giggle. 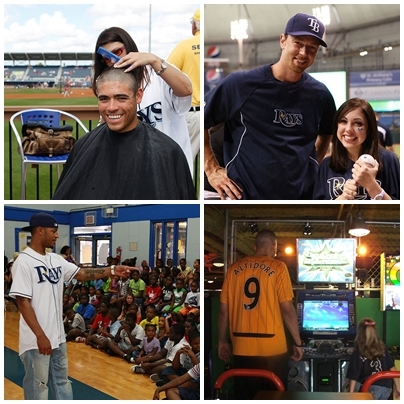 Still, I think Luke Scott might actually have a twin in the Rays Spring Clubhouse mounted right alongside his locker. 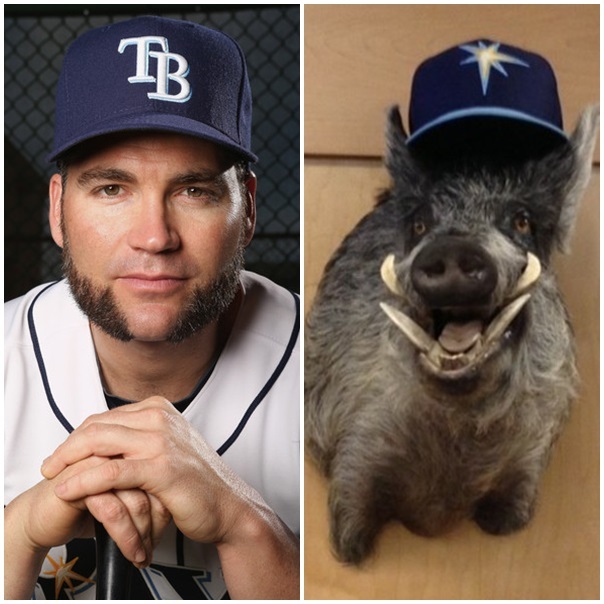 Now if he dyed his mutton chops white they might actually look like the tusks of that wild boar currently residing with a Rays Spring starburst cap in the Clubhouse. But it is still great to see most of the photos are relaxed, tranquil photos that definitely shows who is eager, who is relaxed and who the camera seems to love. 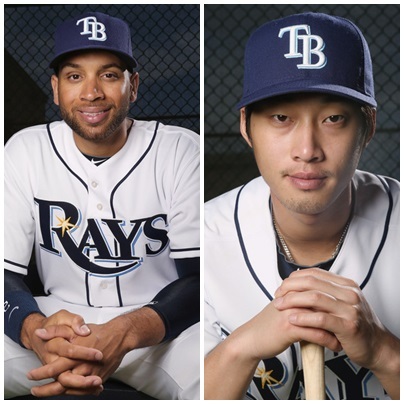 Rays newcomer James Loney seemed to have brought a bit of that old LA vibe with him into the photo day as he looks perfectly calm, cool and collected as the Rays head into their 2013 slate of Grapefruit contests in less than a few days. Also within the first 21 photos released were SP Jeremy Hellickson, INF Sean Rodriguez, SS Hak-Ju Lee, Desmond Jennings and someone who might just make a player for a rotation slot this Spring, Roberto Hernandez. 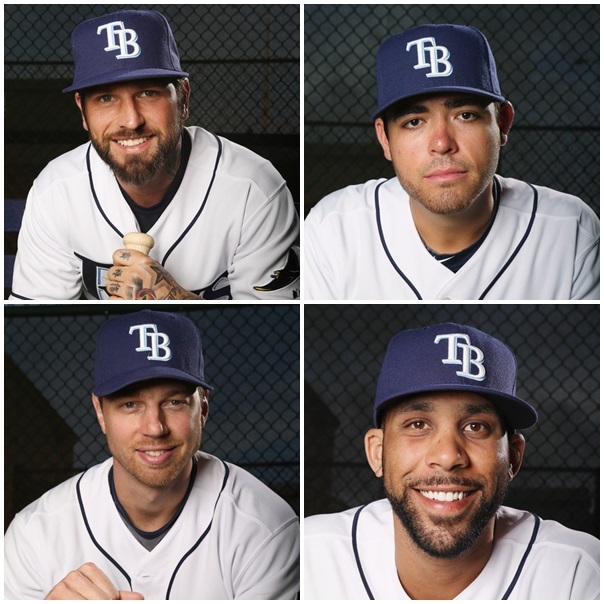 There will be more photos in the future, but this first crop of Rays Team Photos for 2013 definitely shows the vast polar realms of personalities on this Rays squad this Spring. Not matter what transpires, I can definitely see this team this Spring not being a bore…or is that boar? 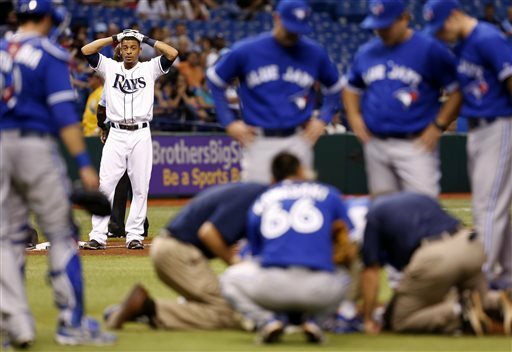 Does it really feel like it has only been just over 5 months since the Rays Republic got to witness something that doesn’t happen very often. Even more precious than a cycle, more compelling than a walk-off victory, on that June 13,2012 night all 18,496 of the Rays faithful and a huge television audience got to see the 2012 Cy Young winners do their stuff under the Teflon roof of Tropicana Field. 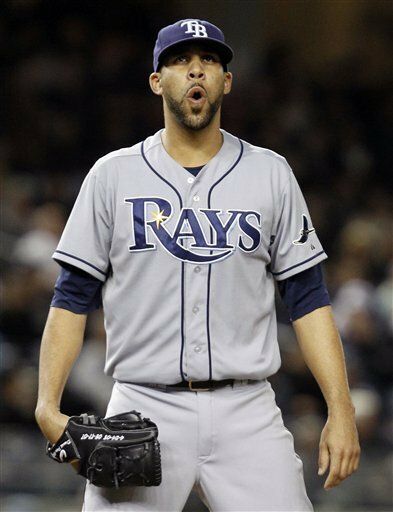 That’s right, in a Inter-League middle of a three-fer mid-week series Rays starter and now 2012 American League Cy Young winner David Price went up against New York Mets starter R A Dickey, the 2012 National League Cy Young winner. Who could have known history would again assemble their names together and my mind instantly goes to this past game with such fond memories. I remember it like it was just yesterday as Dickey brought a 9-1 record into the Trop while Price stood at 8-3 and wanted to check another notch in his “win” column. Each hurler got to toss over 100 pitches( Dickey 106, Price 109) in this contest, as each took the hill wanting a piece of this moment not knowing it would or even could turn into a historic event so many months later. 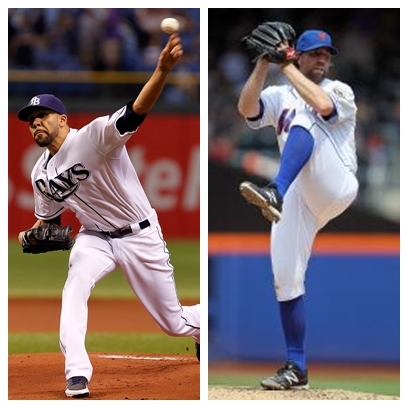 As we now know, it pitted right-handed Cy (Dickey) versus Southpaw Cy (Price) with the Rays (35-27) and Mets (34-29) both sitting with about the same record at the time. 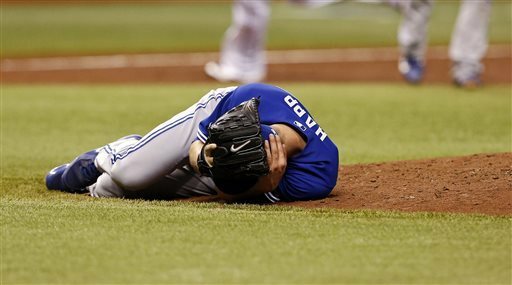 On this night it was not the slicing fastball or shifty change-up of Price that glided a path for victory, but instead it was the fierce high velocity butterfly pitch from Dickey that made 12 Rays leave the Batter’s Box wondering how to get to Dickey’s dancing knuckler. Only one Rays got to put solid wood upon a Dickey offering, with B J Upton finally stroking a soft ground ball to Third Baseman David Wright and beating the throw by no more than a gnat’s eyelash. Immediately whispers and shouts came out with different opinions from either side of the field. 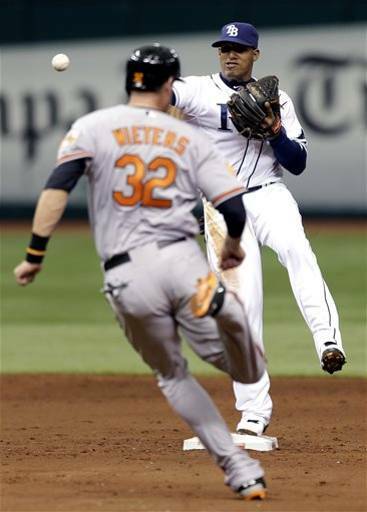 Rays fans cheering for Upton hustling down the line and beating the throw from a fellow North Virgina baseball teammate. 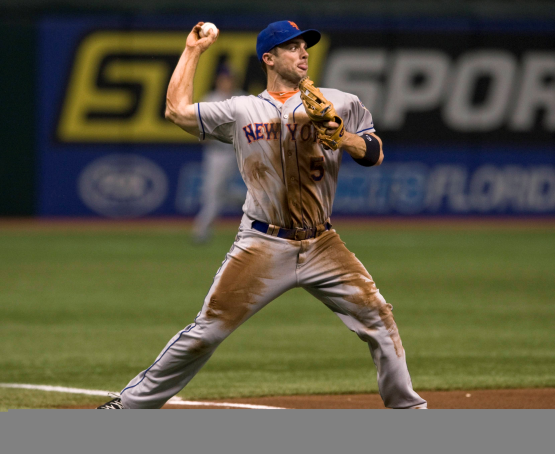 Met’s faithful in the stands wanted a review, but the play did not call for one, and their moans and groans could be heard loud and clear all over the blue-hued Trop. How could we have know that ticket stub would be a slice of awesome baseball history. A moment when 2 Cy Young players took to the hill threw their arms out and the visitor got the final cap nod and victory. Upton’s hit came in the Rays first chance in the bottom of the 1st inning against Dickey, but no other Rays hitter from that moment on seemed to have a viable way to beat Dickey. 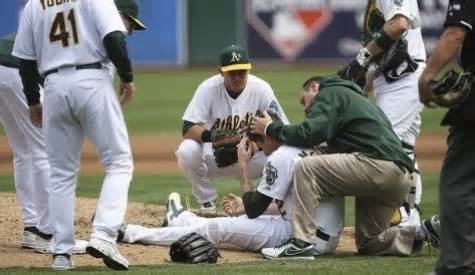 Even Rays INF Elliot Johnson turning around and hitting right-handed against Dickey did not produce a cure or show a hint of damage. On the night Dickey set a new Met’s scoreless streak of 32 2/3 innings just pushing past former P Jerry Koosman’s old mark of 31 2/3rds innings did Dickey show a sign of mortality in the bottom of the 9th watching Johnson reach on a throwing error by Wright, then Dickey showed his human side by helping produce 2-straight pass balls that got Johnson to Third Base and finally on a ground out by Desmond Jennings the lone Rays run on the board. So here we are Nov 14, 2012 and I’m about to hit MLB.com and pull up this contests again and watch these two artists paint their pitching portraits again on the big screen. 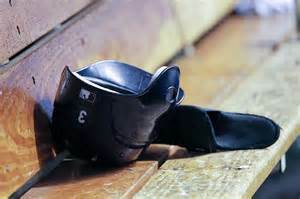 Sure Price did not come out on the winning side that night, but this contest showed us the resolve and composure of the guy who would end up with his own piece of Cy Young hardware. 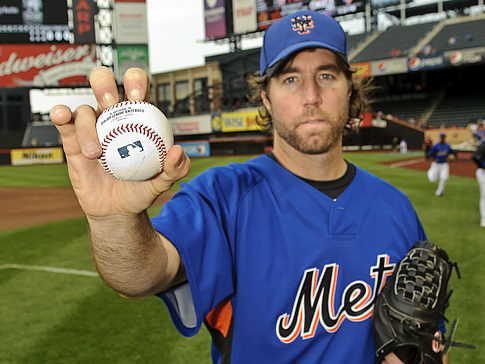 Congrats again to Dickey who fought long ans hard to perfect that knuckleball and to our own Astro’s Dad, Price on an Cy Young award that possibly began on that June 13th evening, under the Teflon roof of the Trop. This just goes to prove, special moments can and do happen in the Rays hamlet of St. Petersburg, Florida under that tilted cap we call Tropicana Field. A link if you might want to venture back to my original MLBlogs posts for June 13th when I had a special feeling about this contest, and my June 14th game result posting.